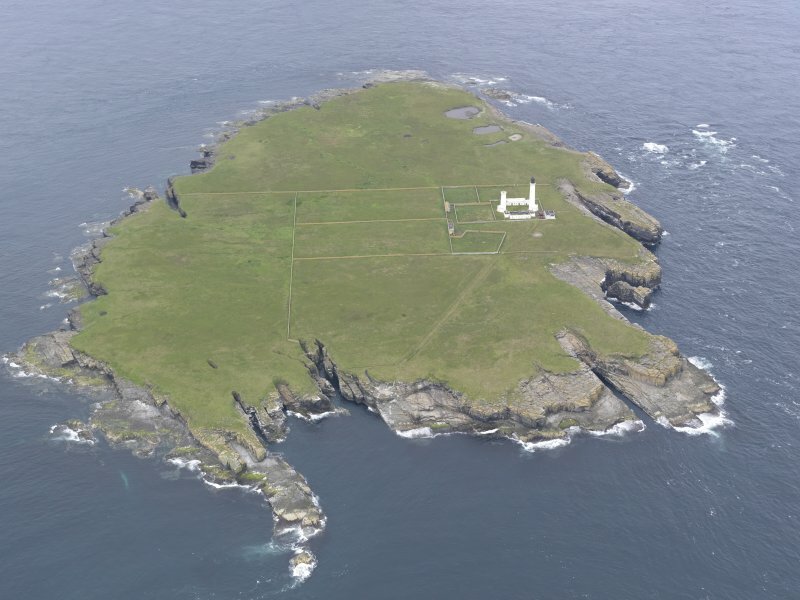 General oblique view of Muckle Skerry, looking to the WNW. 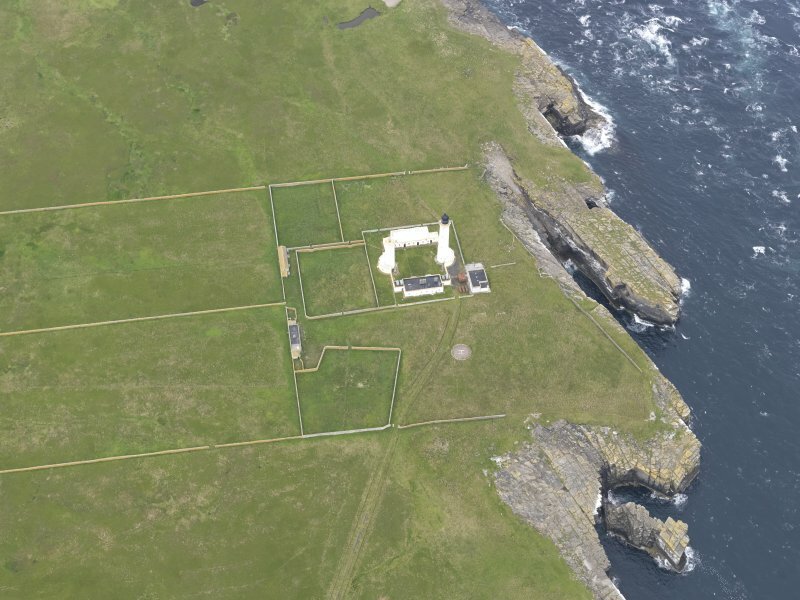 General oblique view of Muckle Skerry, looking to the NNW. 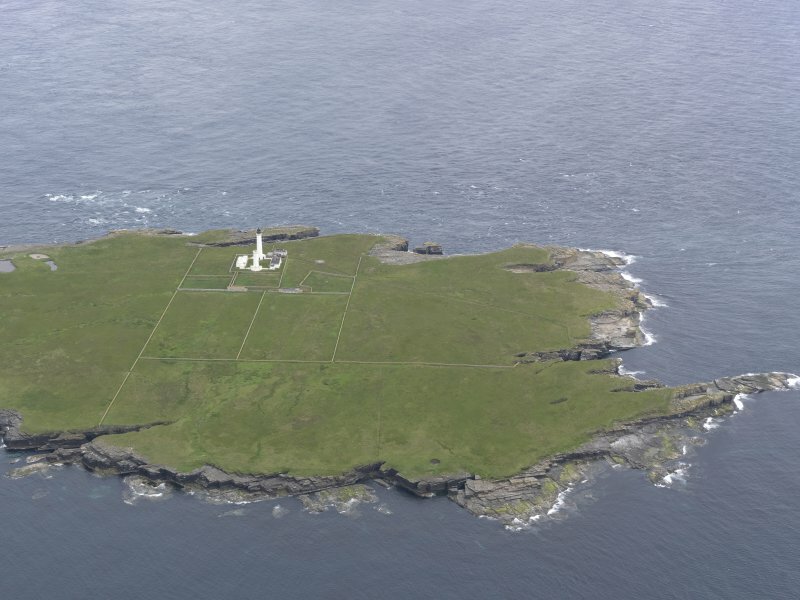 The late Mr A Black, formerly keeper of the lighthouse on Muckle Skerry, reported that he had observed stone foundations and traces of kitchen-middens 60yds E of the lighthouse. 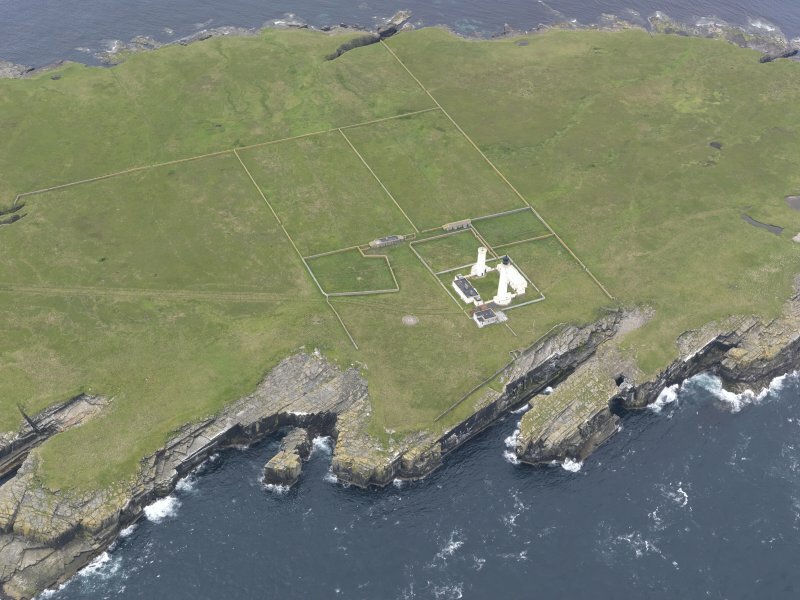 Black was undoubtedly referring to a mound of debris at ND 4662 7841 which is believed by the present lighthouse keepers to be the remains of a chapel (see ND47NE 2). The mound, (which measures 18.0m NE-SW by 11.0m NW- SE and 1.0m high) has been partly excavated in its centre exposing square NE corner of a dry-stone building. The inner face of both the N and E walls are exposed for a length of 2.7m and to a height of 0.8m. 2.2m from the corner, along the E wall, two slabs on edge project W for 1.8m, apparently part of an internal division. Another fragment of walling to the SW suggests that the building has been square rather than rectangular, and it cannot be classified as a chapel, without further excavation. About 20.0m N are further traces of indeterminate walling. There is no trace here of midden material. This is probably St Peter's Chapel, wrongly identified as OR 496 (according to Lamb), by RCAHMS. This possibly a conjoined cell and oratory (hermitage).